World No. 1 Rafa Nadal defeated Ivan Ljubicic today & sends out a message pounding on their heads Rafa is here to dominate! He crushed Ljubicic today with a 6-1 6-3 scoreline in the quarter - finals of the ATP World Tour Masters 1000. Rafa is going for his record breaking 19th master shield record & a 7 in a row Monte Carlo Rolex Master crown! Rafa plays Andy Murray next in the semifinal. 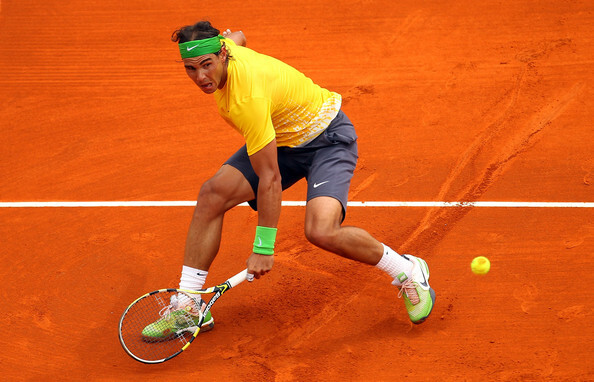 Nadal takes a 9-4 record into the clash, including straight-sets wins in their two clay-court meetings.